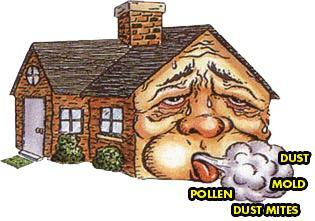 Dust, pollen, mold spores, smoke particles, and pet dander. All these air pollutants can cause respiratory problems, especially with children and elderly people. We should protect our loved ones from all these unwanted pollutants, especially considering that you can buy many air purifier models for cheap. Air purifiers also can improve cardiovascular health. Recent study done in Copenhagen found that the cardiovascular health in the healthy non-smoking elderlies improves by using HEPA filters, even after as short as two days. 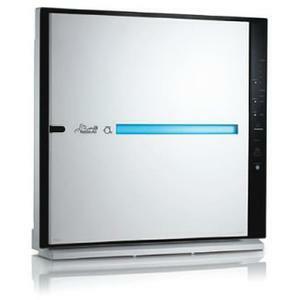 If you are looking for the best air purifier, you have come to the right place. 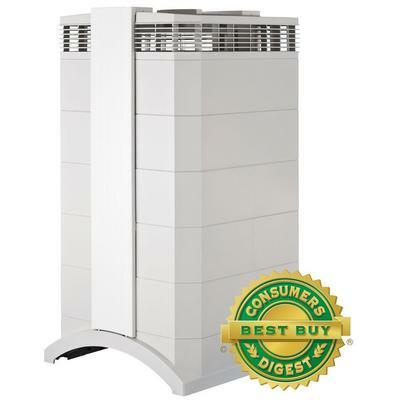 Read our air purifier reviews to understand more about the models you are considering. Visit our ultimate air purifier comparisons to find the the right air purifiers for you. 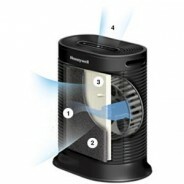 There is no definite proof that air purifier can minimize allergies. Many people claim that they are allergy-free after using an air purifier. However, I have read many air purifier reviews where air purifiers did not help with allergies. At the least for my case, I can say that an air filter does help in reducing my allergy (significantly, I would say!) Some people have misconceptions that with a budget of $50, they can get the best air purifier for allergies. However, I find that it is important to find the model and brand that can alleviate your specific allergy. I learned this after spending few months of my salary trying out various air purifier models. I created this review site to help others in choosing an air purifier that works, without wasting months of salary. Let me know if it does help you. How To Choose The Right Air Purifier? The ideal air purifiers are the models that remove the most pollutant particle from your house. When you are doing your air purifier review, there are many factors you need to consider carefully. The list of factors that can affect the effectiveness of an air purifier includes your house size, whether you have pets, and even where you stay. It is important to choose the best air purifier for your needs, based on multiple factors that matter to you. Below we list a number of factors that we deem important in evaluating an air purifier. CADR is the measure of how efficient an air purifier is in removing the air pollutant particles from your house. The CADR number should be ideally tested by AHAM, which will provide the rating seal for the air purifier. CADR number is provided for tobacco smoke, pollen, and dust. AHAM recommends that the room size is at most 1.5 times the CADR value for tobacco smoke. However, depending on your needs, you might need to get several air purifiers even for a medium-large room. There were times that I put two air purifiers in my bedroom when I felt really bad. By the way, CADR is tested with the highest fan speed. You might want to keep this in mind when making your decision. Most if not all of the air purifiers for home are safe to use. However, some models produce ozone or other gas chemicals that are known irritants of our respiratory system and can aggravate asthma. In fact, California has banned ozone air purifiers for home use. I definitely recommend against buying these ozone air purifiers, and it seems that you hardly see them in the market anymore. The design of an air purifier determine its air purifying performace. Here it’s important to match the product that you are considering with your actual needs. For example, carbon filter is required to filter odors from the air. Lower-end air purifiers might not be equipped with carbon filter, which obviously will limit its capabilities to remove smells from your room. According to many of my pet owner friends, the best air purifiers for pet owners are ones that can remove odors effectively. I heard this feature is also important for the room of teenage boys . The air purifiers in the market range from basic models, with only fan speed knob, to advanced models with all the bells and whistles one could imagine. Many of these advanced features are good to have, for example: dirty filter indicator, air quality indicator, and automatic fan adjustment according to the air quality. But remember not to get yourself overly carried away with all these features during your air purifier review because in the end, the most important is still how good the air purifying performance is. Some of the air purifier features are self explanatory, but many of the advanced features need more detailed descriptions. Here I describe some of the features that I hope will make it easier for you to decide on a specific model. HEPA filter is designed to remove at the least 99.97% of particles with size of 0.3mm and larger. 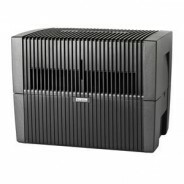 HEPA air purifiers are very common in the market. They work well, reliable and proven to be effective and safe. HEPA filters need to replaced regularly. The frequency to replace the HEPA filters depend on the product. HEPA filters in air purifiers that are equipped with pre-filter need to be replaced less often. In the market, you will see the term True HEPA, which companies use to show that their air purifiers are certified to meet HEPA standard. To my knowledge, True HEPA filters are not washable, so you will need to replace them regularly as they trap all the air pollutants. On the other hands, many companies produce HEPA air purifiers that use filters that might not meet the HEPA standard. You will see terms such as “HEPA-type”, “HEPA-like”, or even just HEPA air purifiers. These lower grade filters could be enough for your needs, so don’t rule them out yet. 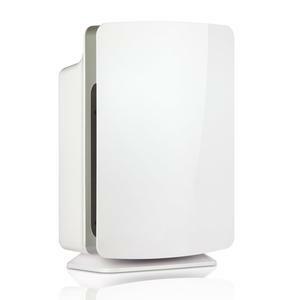 Especially since well-designed HEPA-grade air purifiers (eg. 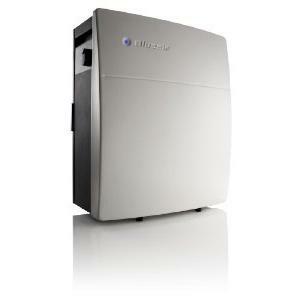 Blueair HEPA Silent and Rabbit Air BioGS HEPA) might come with one very useful feature: the filter is washable. Ionizer works by pulling air pollutant using electrostatically charged plates. Remember how static electricity can pull your hairs standing? Ionizer works with similar principal. Ionizer doesn’t need filter replacement. However, it needs regular cleaning as the plates will be covered with all the dusts and dirts. A good ionizer air purifier produces ozone as a byproduct, but in small quantity. So it’s very unlikely to cause problem or irritation to the respiratory system. By the way, ionizer air purifier is completely different with ozone air purifier. Ozone air purifier works by producing significant amount of ozone. For asthma patients, the ozone produced can potentially aggravate their conditions. This make ozone air purifier the least ideal candidate to be considered as the best type of air purifer for asthma sufferers. Air purifiers use carbon filter to chemically bind the odors. 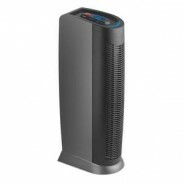 HEPA filter is generally not enough to remove odors, so if odor removal is important for you, be sure to buy air purifier models that come with carbon filter. Carbon filter needs to be replaced regularly as the carbon will be “spent” removing the odors. Pre-filters are used to prolong the lifetime of the subsequent filters. True HEPA filters are expensive to replace, thus by using the pre-filters, the lifetime of the HEPA filters can be extended and pre-filters will save you money in the long run. Pre-filters could be replaceable or washable. I like washable pre-filters as they save me money on replacement of the pre-filters. But the replaceable pre-filters are generally more efficient than the washable type. Even if the pre-filters are not washable, you can extend the lifetime of the pre-filters using a vacuum cleaner. There are many famous brands for air purifiers. Even though it is good for us, the consumers, but choosing the best air purifiers becomes difficult as there is no one perfect model. Now you have all the necessary information to make an informed decision on which model you want to buy. If you need more information on any specific brand, read through our air purifier reviews. If you are ready to make a decision, my ultimate air purifier comparisons might help you. I hope it does as I spent two weeks building that table, and I am still adding more and more models to that table. Squair – Is Plasma the Way to Go for Air Purifier?